It is clear that if you are in the market for a new small form factor PC then the Asus mATX motherboard will suit your needs perfectly. Not only does it perform well but Asus have done a great job utilising what little space there is available, cramming plenty of ports and sockets on the motherboard. Not only that but it also looks sweet with a very attractive colour scheme. While I would doubt many SFF PC's come with windows, it is good to see that manufacturers are taking note of enthusiasts and making there products look more attractive to the consumer. The packaging, while very basic should be enough to get you going although I would like to have seen a few more accessories included. Performance wise the mATX board was never going to be an overclocking monster. Sure it performed well in our benchmarks and raced out of the blocks but when compared to more advanced boards with a huge array of BIOS options such as our comparison board, the MSI P55-GD80, the Asus board starts to falter. That is not such an issue though as the P7P55-M was never meant to be aimed at the high end overclocking market, the ROG range cater for that. What Asus have done is present a viable alternative to full size ATX motherboards, keeping most of the features the bigger boards have while presenting it in mATX form factor for those where space is an issue. The board is starting to appear in stores at around the £90 mark and should do well at that price point. As always though it could be set a little lower and really fly off the shelves but £90 is not such a bad price to pay for a motherboard of this nature. All in all I did like the Asus mATX P7P55-M. It ticks all the boxes for those looking for a board of this nature and should suit anyone wanting to find a board as a foundation for their mATX build. For that reason I will not hesitate to recommend buying it if that is your objective. 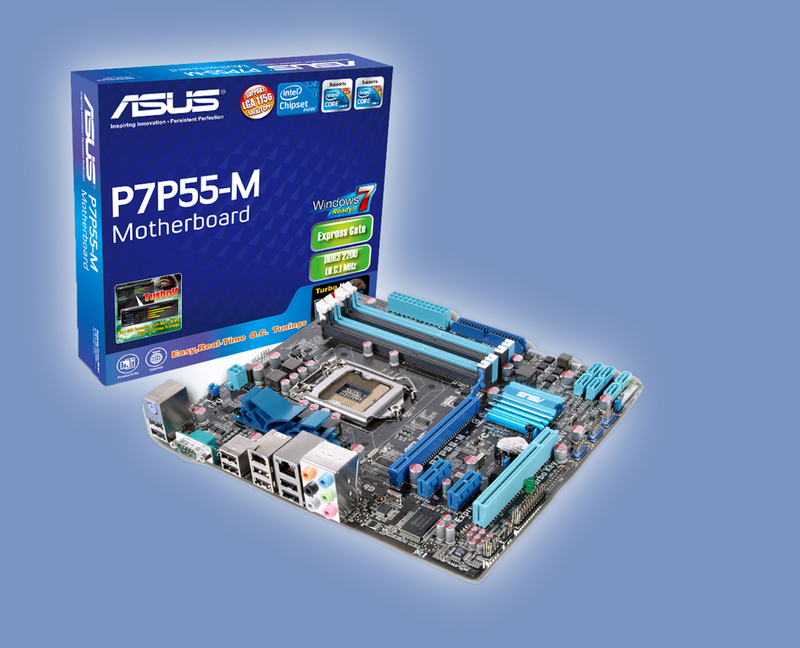 Thanks to Asus for providing the P7P55-M motherboard for todays review. Discuss in our forums.